Oliver is taking on the Cardiff Half to break a record! Oliver Williams, Falls Strategy Implementation Lead at Cardiff and Vale University Health Board is taking part in the Cardiff Half Marathon aiming to break a Guinness World record! Oliver is a seasoned runner, who regularly takes part in half marathons as well as being a regular fixture at Cardiff Parkrun. Oliver started running eight years ago, mainly around parkrun, and has been running ever since. He’s currently running sections of the Wales Coastal path and hopes to complete that this year. 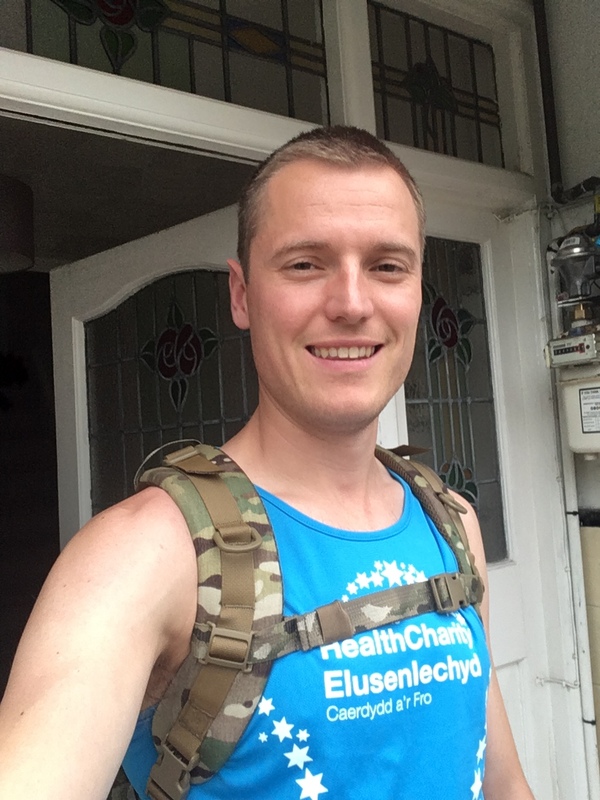 Oliver said: “I decided to take a place to run the Cardiff Half Marathon with Cardiff & Vale Health Charity because I do a lot of running and I thought the funds I could raise would make a difference to the Children’s Hospital Fund. “This year, I needed to do something completely different as I thought if I keep asking people for money they’d laugh because it’s something I do all the time. I thought I’d up my game and do a challenge. I often run in fancy dress so that wasn’t an option this time. I decided that I’d try and break a Guinness World Record for running the fastest time with a weighted back pack – 20.5lb – the same weight as my daughter Martha. When I first weighed my backpack I couldn’t believe how heavy it was, so much so that I bought a second set of scales to check, unfortunately for me it was correct the first time. The current world record is 1 hour 31 minutes 25 seconds and I’m hoping to do it in 1 hour 25 minutes.